When it comes to hiring a limo for your special occasion, you can’t just base your choice on pricing, you have to take other factors into consideration that are equally, if not more important. While there are dozens of limo for hire companies in business, not all of them are as reputable as others. There are some key factors that you need to be aware of in order to be sure the limo for hire company you use is professional and reputable or not. Ask for references. If you’ve never hired a limo service before, ask friends, family or business associates that you know has done so if they recommend a particular limo for hire service. If you don’t have anyone that can make a personal recommendation, then ask the company you have in mind to hire for customer references. You’re looking for such points as on time arrival, professionalism of driver and quality of vehicle and if the customer feels they got their money’s worth for the service they received. How well maintained is their fleet of vehicles? 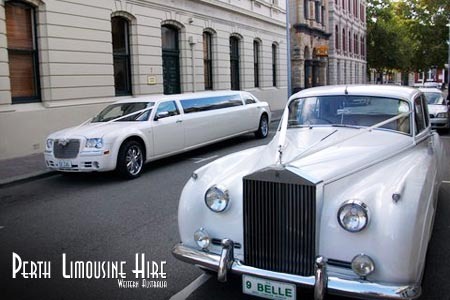 The cleanliness and upkeep of a limo for hire service’s vehicles says a lot about their standard of operations. Are their vehicles later models such as the newer Chrysler 300c or are they old. Now some companies rent “classics” such as Daimlers, Rolls Royce or Jaguars, but in most cases you want to have a vehicle that is less than 10 years old. Do the vehicles look clean and run properly? These things are very important to know. Double booked might mean getting left behind- Also, you need to know the number of vehicles they have for hire. This is especially true if you’re booking during peak school ball or wedding season. Some smaller, less reputable companies may double book for more than one rental on the same day. This can cause delay in pick up for one or more clients. A reputable company will have at least four or five limos available on any given day. When you book, make sure that you allot plenty of time for your use and ask that the vehicle not be double booked during that time. Making sure that the limo for hire company you pick for your special occasion is reputable can save you money in the long run. Not using a reputable company could wind up costing you more money than you might expect.